“The floors and other applications needed to be tough. 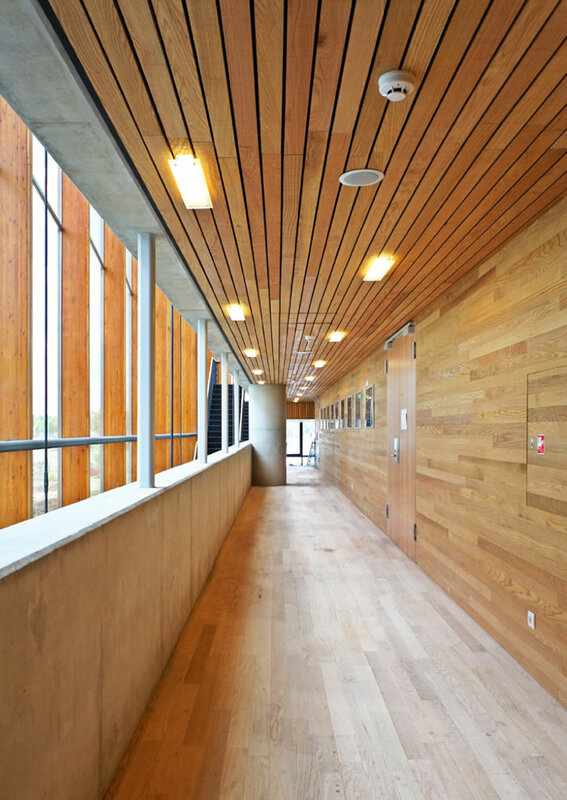 After all, it’s an active building with active students.” Photography courtesy the American Hardwood Export Council. In the heart of Amsterdam on Oosterdok Island is the unique Amsterdam Conservatory. Completed in 2008 and recognized as the largest and most diverse conservatory in the Netherlands, the eye-catching structure showcases a variety of building materials. 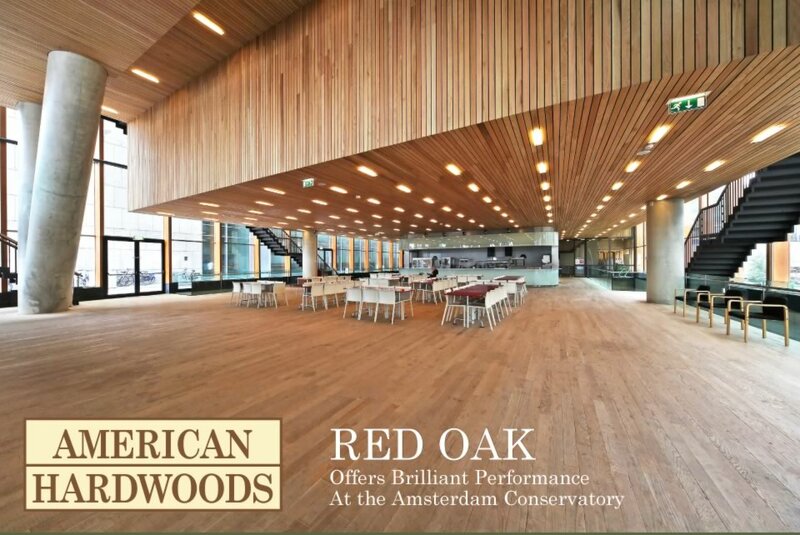 American red oak is predominant in the design, adding natural warmth and beauty to the structure, in harmony with the building’s interesting mix of concrete, steel, and glass. The impressive facility has three distinct elements arranged in vertical components: the “Performing Heart” made up of the foyer and five auditoriums; the college building with classrooms; and the study building with the library, lecture hall and offices. Challenged with combining the three clusters was Van Dongen, a partner of Cie. Architecture, and self-proclaimed “tinkerer,” whose work is indeed a masterpiece. Working within a tight budget, Van Dongen gave the college and study levels the same cost-efficiency typically applied to his residential designs. He also applied the “Engawa Principle,” a Japanese style in which corridors are situated next to the perimeter of the building and rooms are within. The corridors function not only as passages, but also as extra sound and thermal buffers. 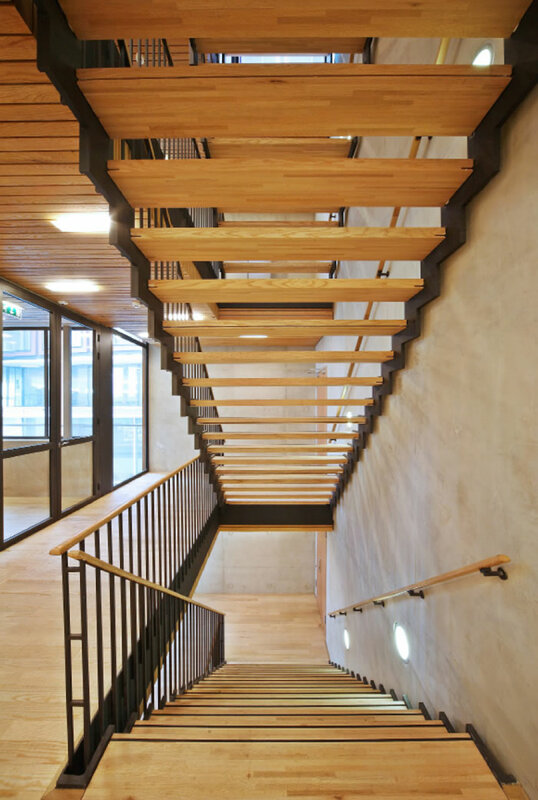 His approach, which makes the most of the budget and space, created a vibrant building, which exudes Van Dongen’s love for people, architecture, and materials. Photography courtesy the American Hardwood Export Council.